It was bound to happen someday–I’ve found someone as obsessed with chocolate as me. 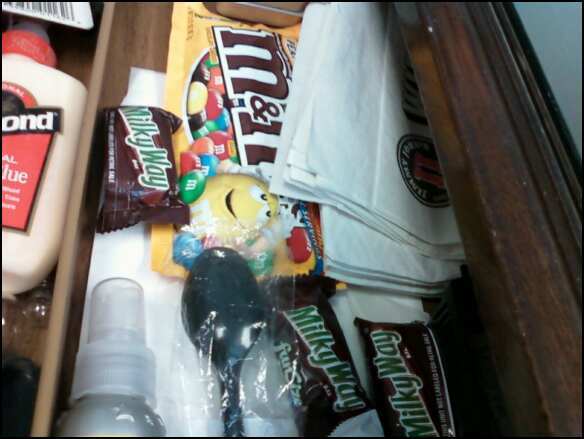 She keeps chocolate out for everyone at work, but she’s not here during the day. 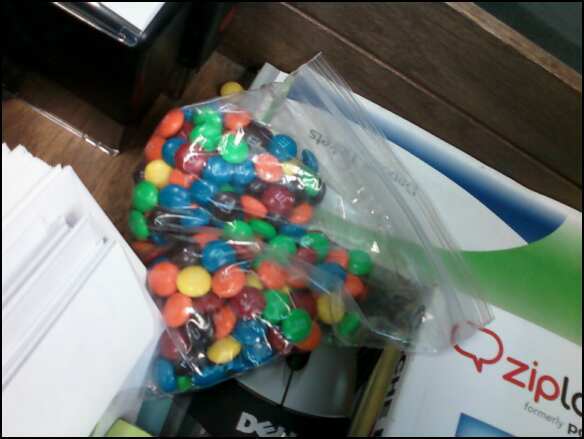 She also keeps little tidbits of candy in every nook and cranny of her office. I’ve managed, with the help of the guys in the shop, to polish off the 2-lb. bag of community Hershey’s kisses within the week. And, after a kiss-less morning, my willpower is gone.